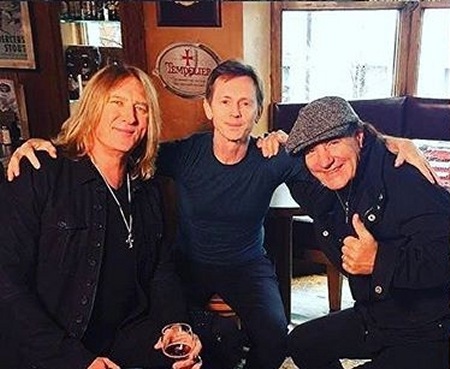 Def Leppard singer Joe Elliott has filmed an appearance on a new UK TV show called On The Road. Scenes for the show were shot yesterday with AC/DC singer Brian Johnson in the Temple Bar area of Dublin. Joe previously shot scenes there for the Down 'n' Outz 'One Of The Boys' promo video. Little is known about the series or the shoot which was directed by Chris Walker. Brian also has his own car series 'Cars That Rock with Brian Johnson' which airs on Quest TV in the UK. That doesn't appear to have anything to do with this shoot. View a few photos from the filming which took place yesterday.